Question: My husband and I have been talking about getting our estate planning documents in order. We have a modest estate and three children ages 2, 5 and 7. What questions should we be thinking about when we see an attorney for a Last Will & Testament? Answer: As parents to young children, there are a few very important considerations you should be discussing with respect to your Last Will & Testament.As you can imagine, as minors, your children will not have the ability to collect any money on their own or make any decisions.Even if you pass away in ten years and your oldest is 17, s/he will be unable to act on behalf of themselves and your other children. The first consideration would be, who should be the guardians of your children?If you and your spouse were to pass away and your children are still minors, who would you want to care for your children?This is obviously an important consideration and one that you and your husband need to discuss.If you do not address it, by either leaving it out of your Last Will & Testament or not having a Last Will & Testament, this could lead to different family members asserting that they should be the guardians.You want to ensure that your children are with the individuals that you chose.Additionally, it is just was important to discuss this matter with individual(s) you are naming as guardian in your Last Will & Testament.You need to make sure they are aware of the responsibilities and willing to undertake them.It is also a good idea to name a backup guardian in the event that your first choice is unable to be the guardian if the needed arises. 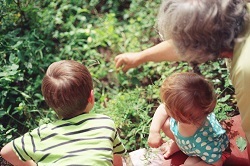 Another consideration is how you want your assets allocated.If you have three children, you may initially answer – “all my children equally.”This may seem like the obvious answer.However, young children have different needs as time goes on and one may need more money than the others.A planning technique that may be utilized is to establish a “Common Pot Trust” wherein all of the assets are pooled together in one trust for the benefit of all of your children.You would nominate a Trustee of the Common Pot Trust (this can be the guardian or someone else) that would have control over the assets and be able to support your children as needed.The Common Pot Trust can terminate upon the youngest child reaching a certain age (i.e. 25) and distribute the remaining assets equally to your children. Consulting an Estate Planning Expert in your area to explore all of the different planning techniques for you and your family is crucial, especially when considering the future of your children. - Brittni Sullivan, Esq. and Nancy Burner, Esq.